Switch Grass Northwind - Tree Top Nursery & Landscape Inc. 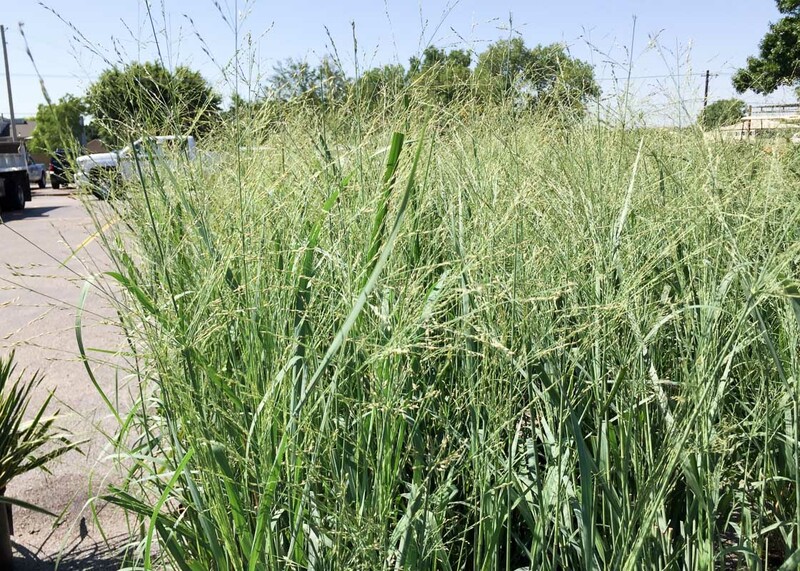 This tall switch grass is grown for its excellent color and upright form. It can reach 4 to 6 feet tall in bloom but only 2 feet wide. Its blooms are airy and appear in summer. The foliage is wider than most switch grasses, is blue green during the growing season, and turns yellow to tan in the fall. The stems of this grass rarely fall over in full sun and clump stays compact. This plant works well for upright accents, as a screen, and in mass plantings. It will tolerate a wide range of soils, including occasionally wet soils, and is drought tolerant once established. It prefers full sun but will grow in part shade, although more shade will cause it to lose its form and fall out. It does not have any serious pest or disease problems.